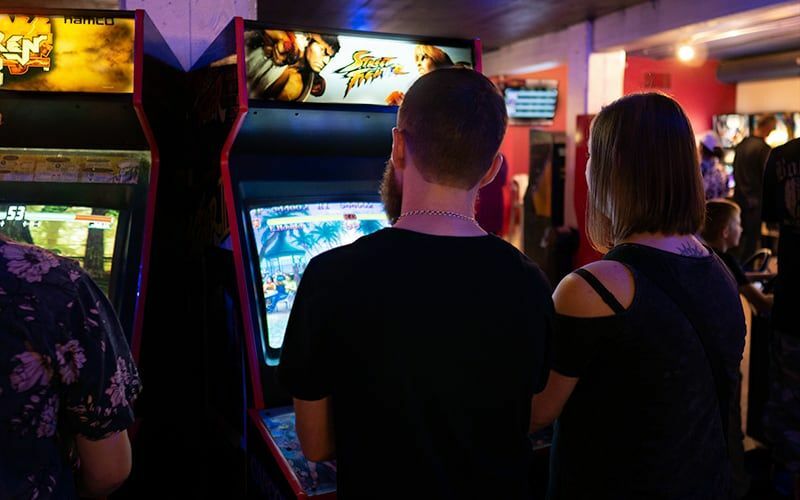 The Arcade, where the game is never over. All video games are on free play! Watch the video, then come experience it yourself! Gorf, Dig Dug and More! If you're looking for a great place for a Birthday Party, Office Event or just want to book us out for you and some friends, check out our Party options! 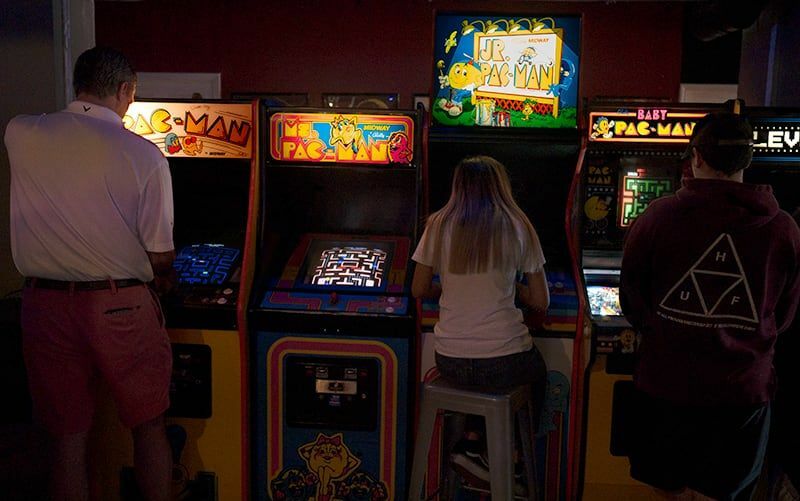 The Arcade is an amazing collection of retro arcade games. It's dedicated to a simpler time when high scores mattered, headsets were for Walkmans, and anything with more than two buttons was called a 'keyboard'. When WarGames, Valley Girl, and Back to The Future were on the big screen and big hair, blue eye shadow, parachute pants and skinny ties ruled the shopping malls. 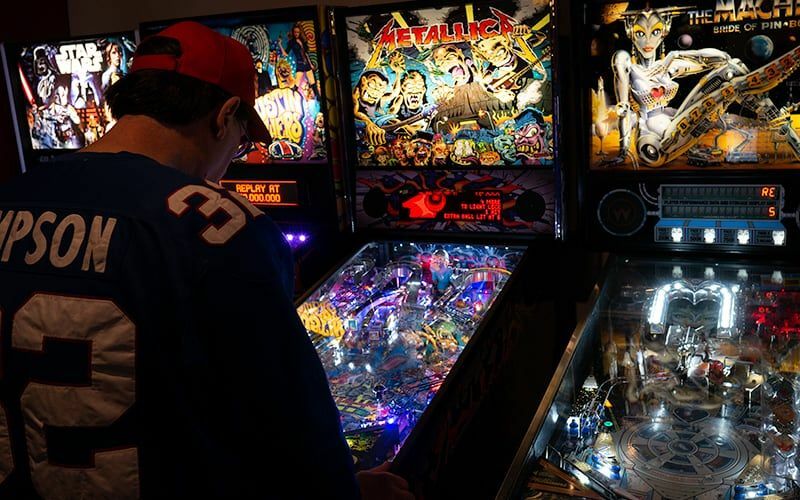 We've put together a massive collection of 75+ 80s, and 90s arcade games, plus pinball for everyone to enjoy. All arcade games are on free play!